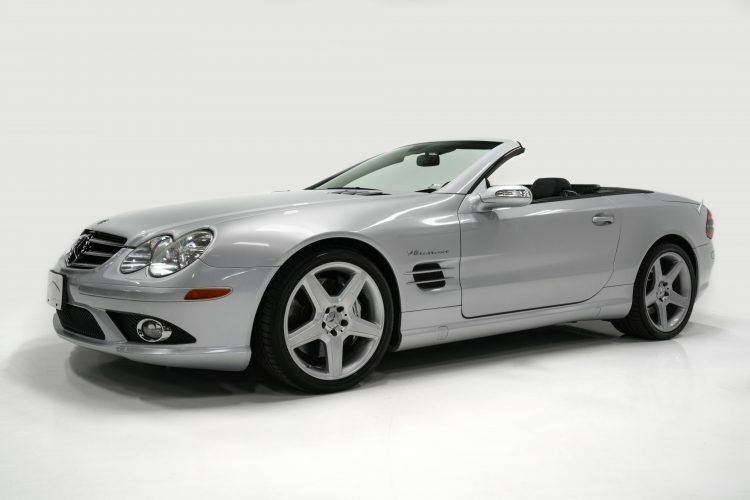 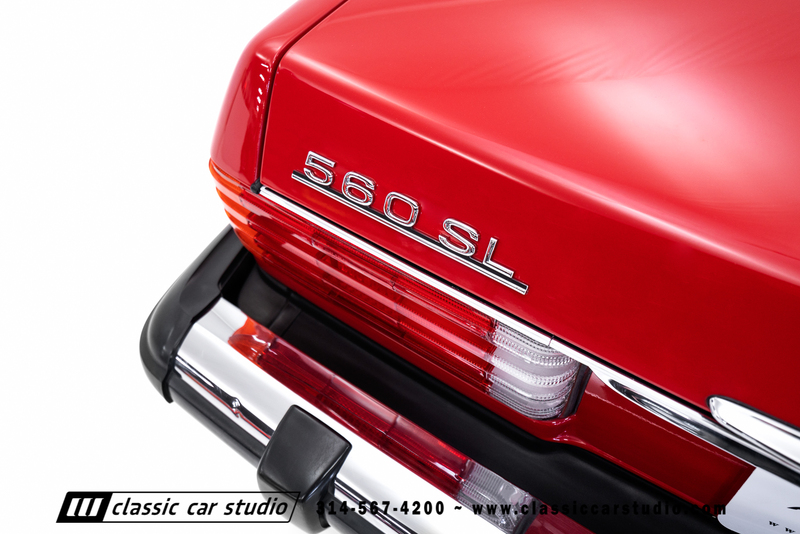 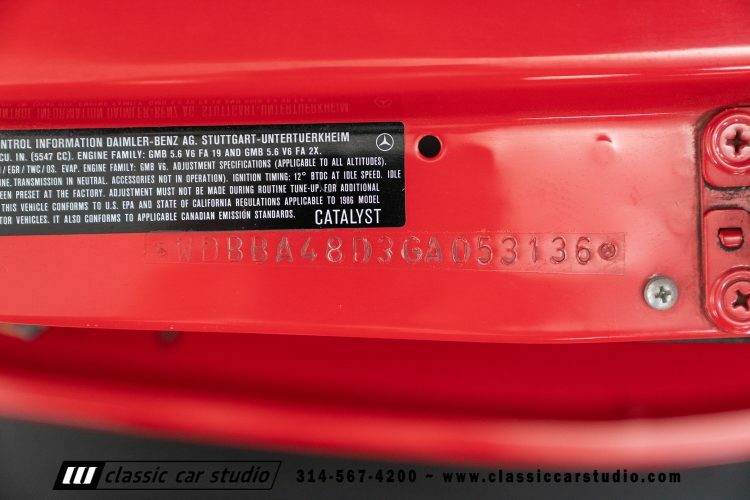 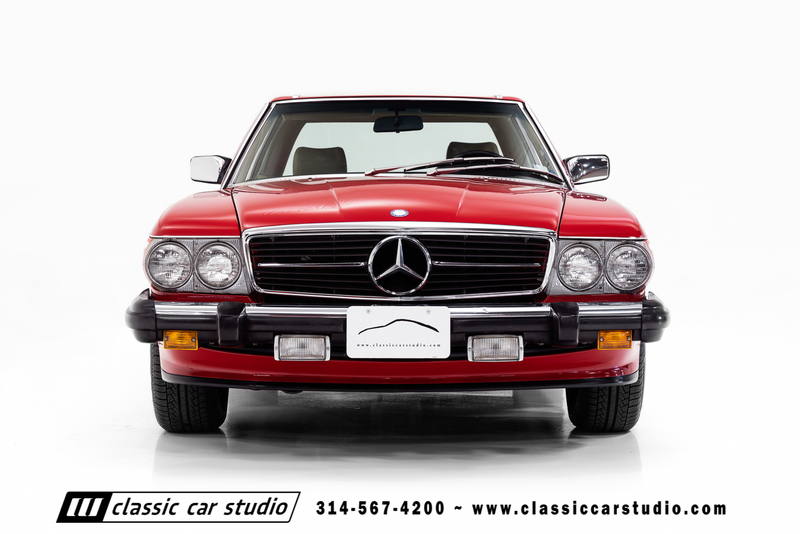 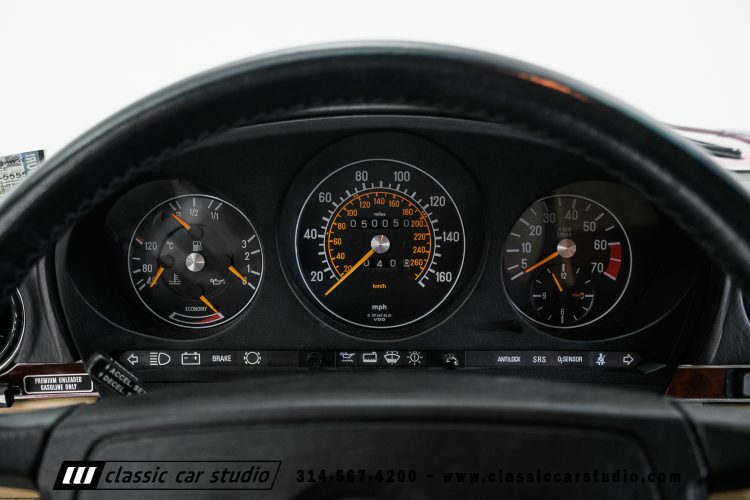 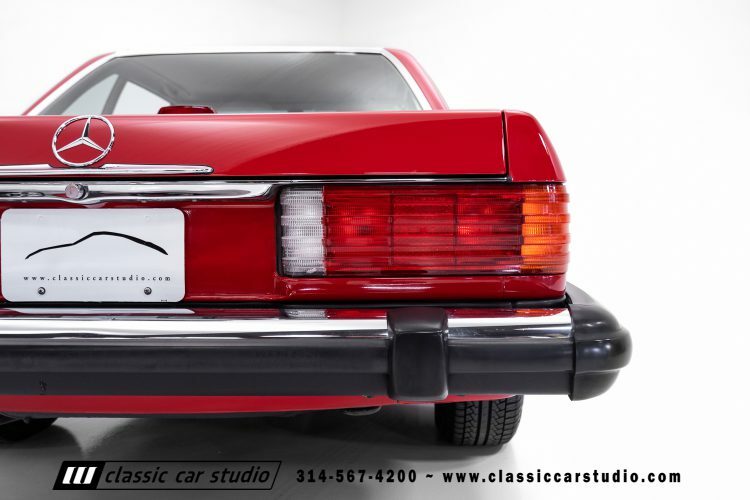 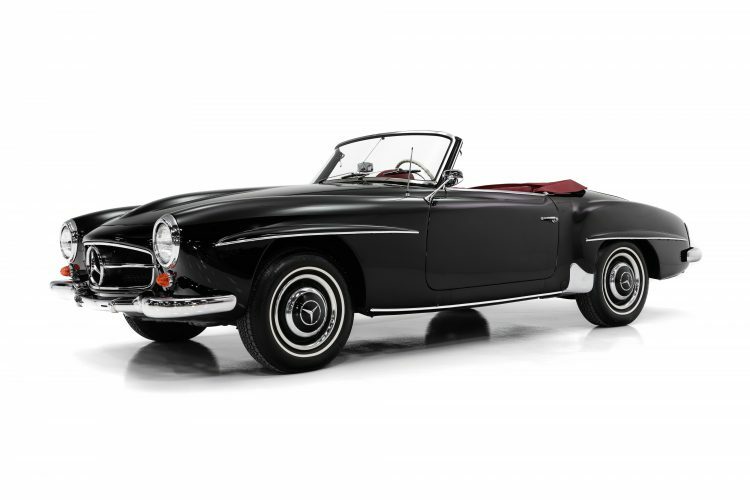 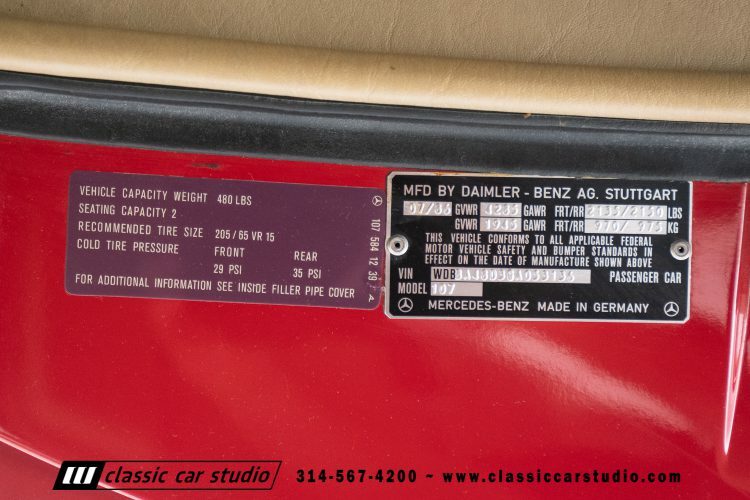 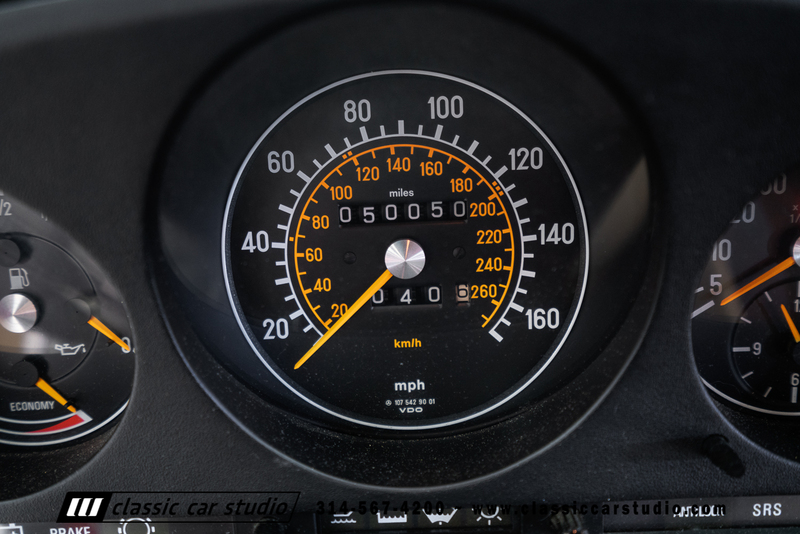 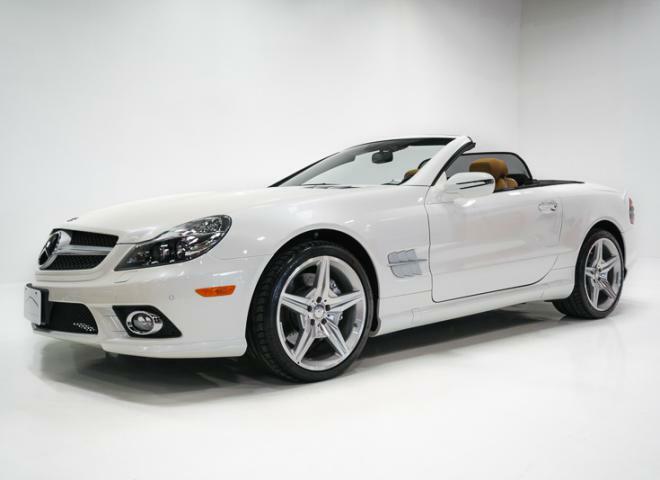 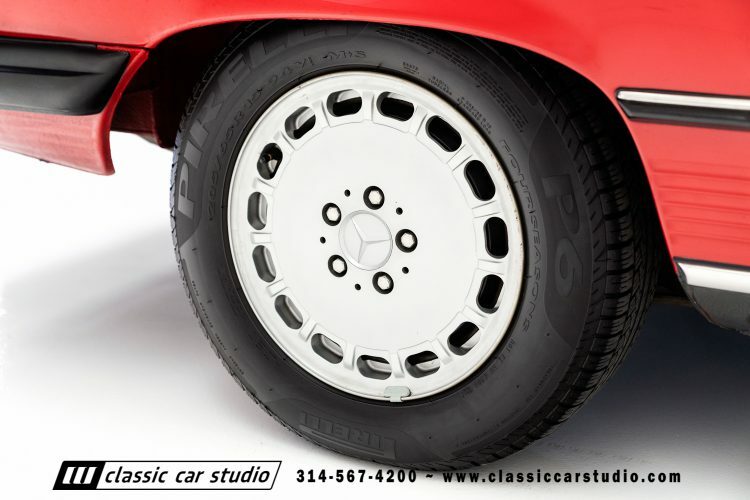 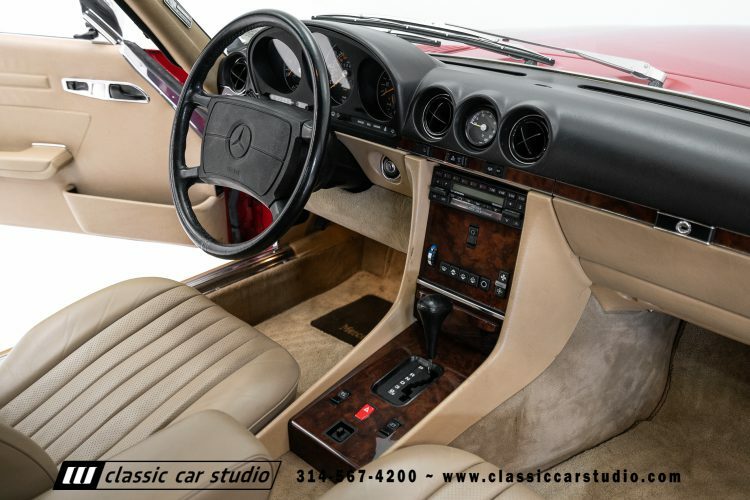 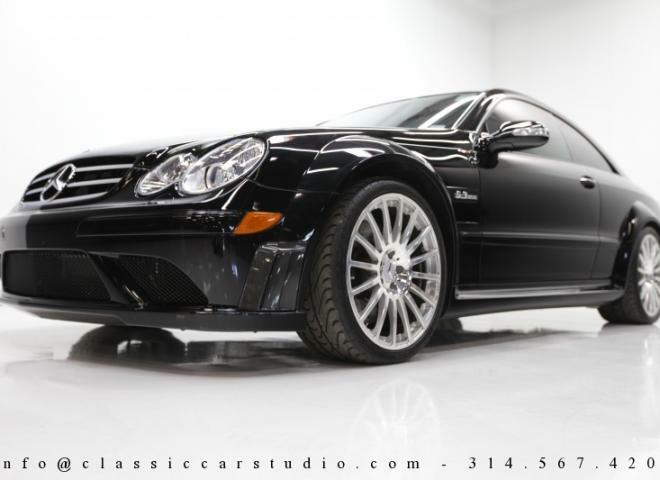 With a lineage of design and production longer and more distinguished than that of most other products of fine automakers, the 560 SL owes much of its character to the carefully crafted and race inspired SLs which have fostered the mystique of Mercedes automobiles for several generations. 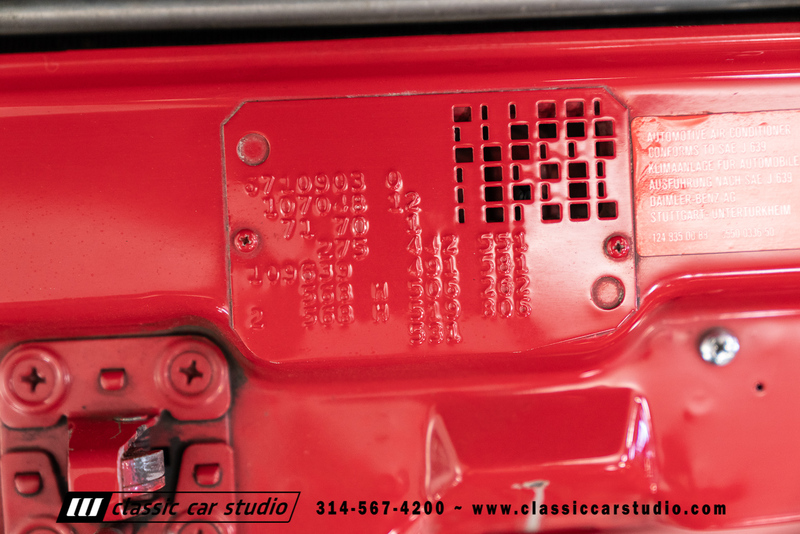 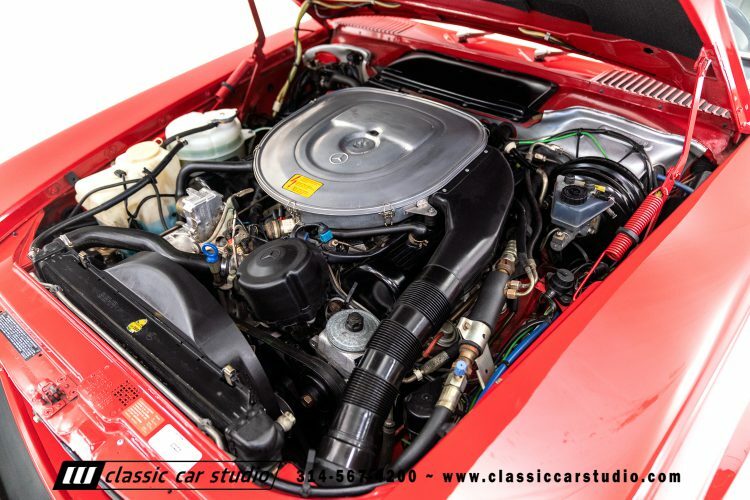 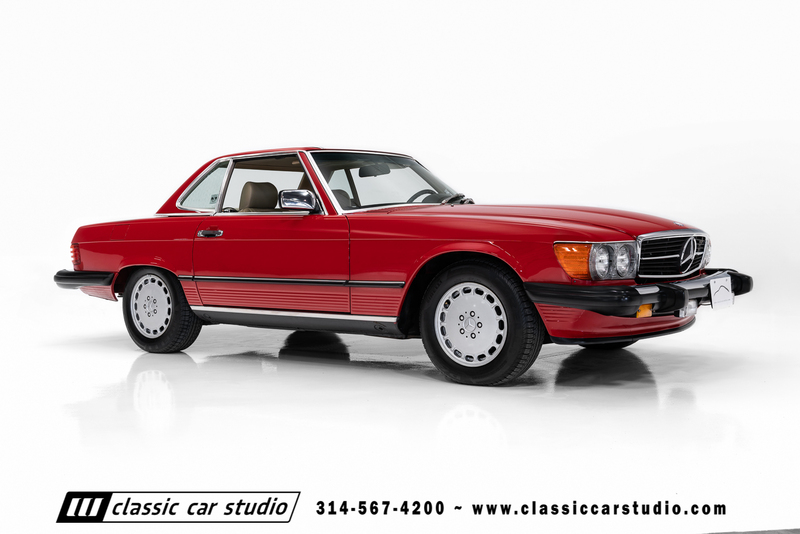 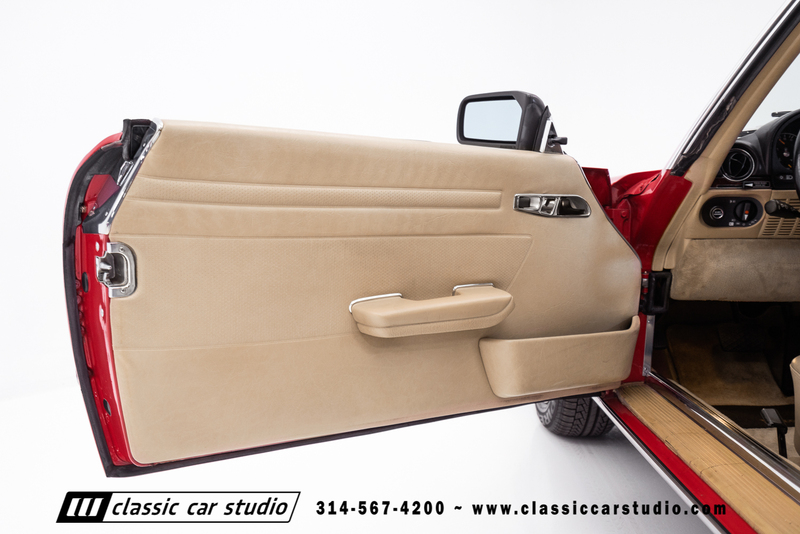 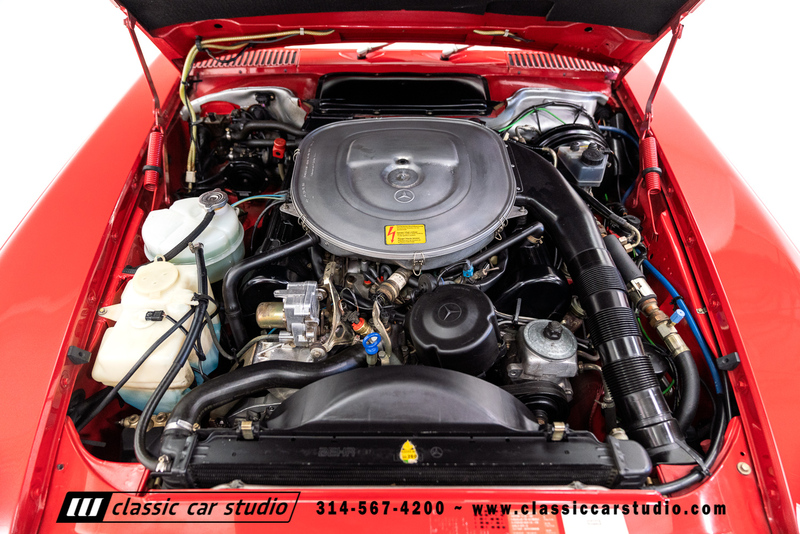 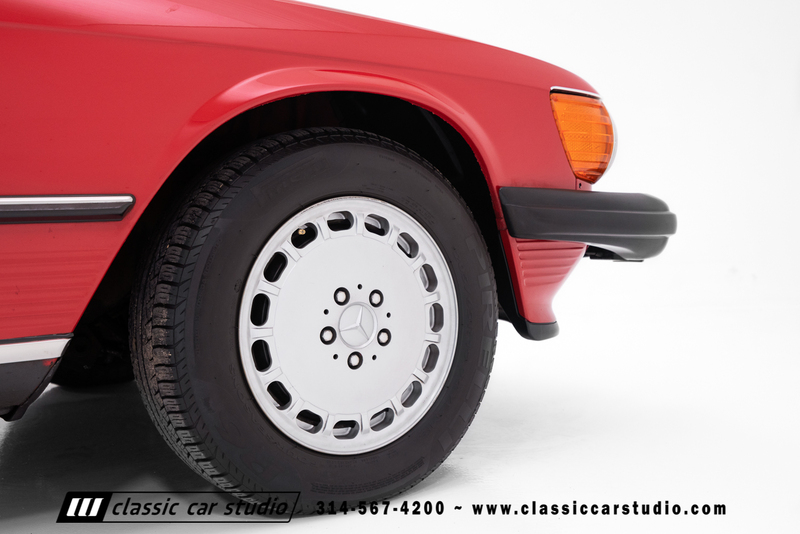 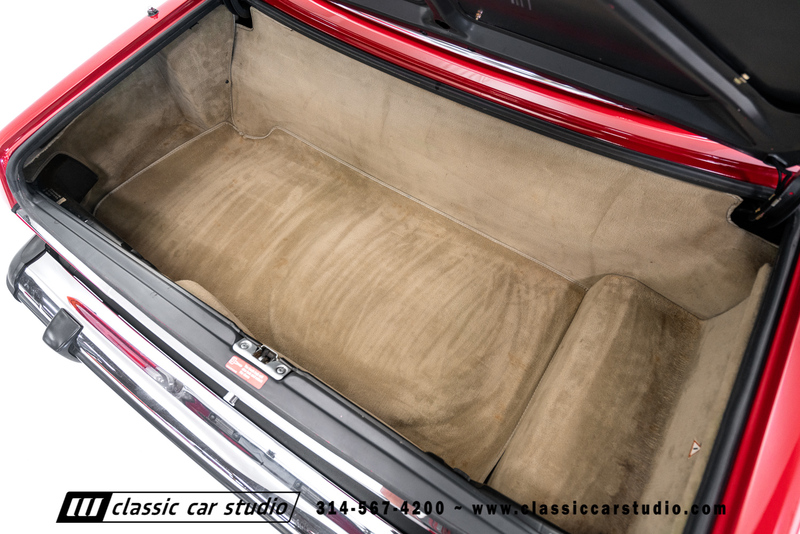 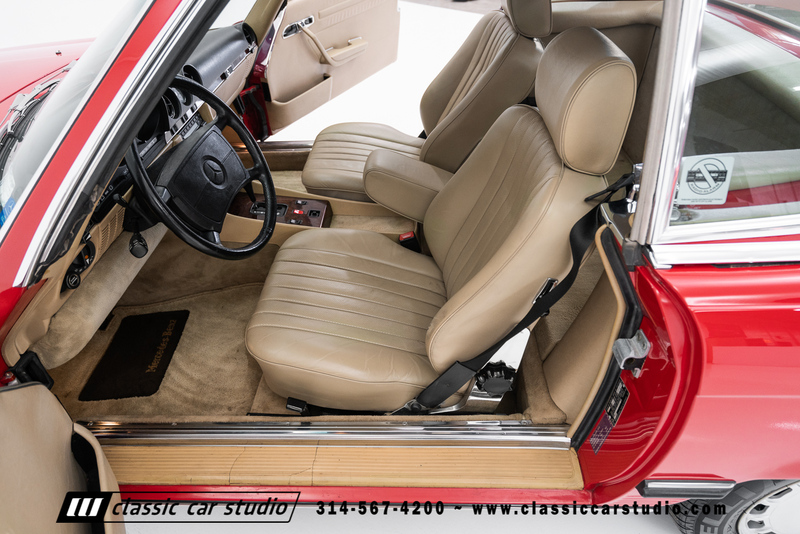 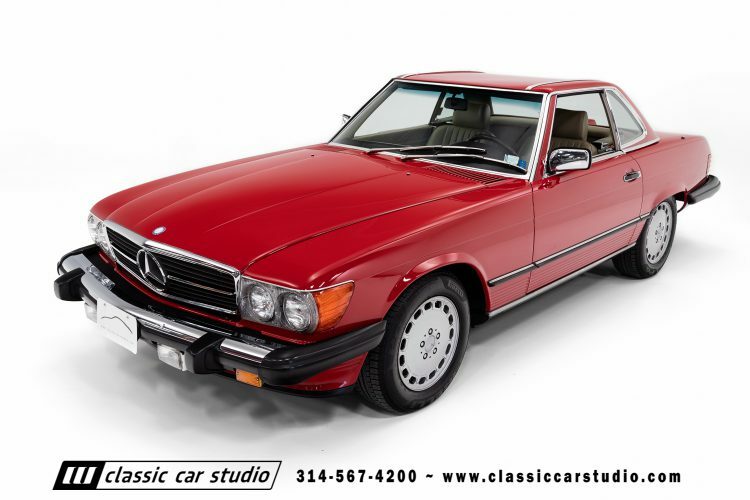 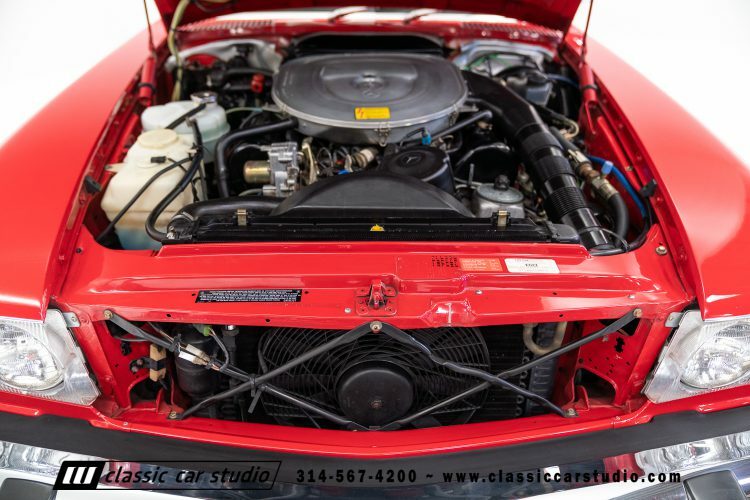 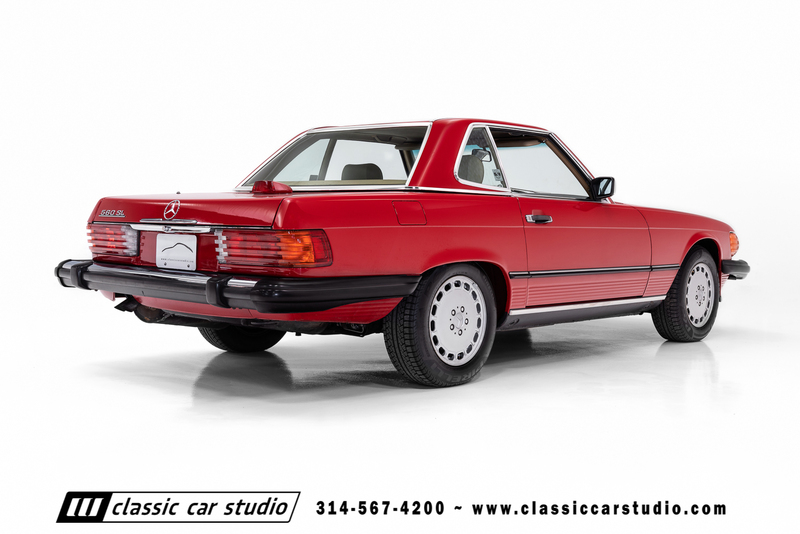 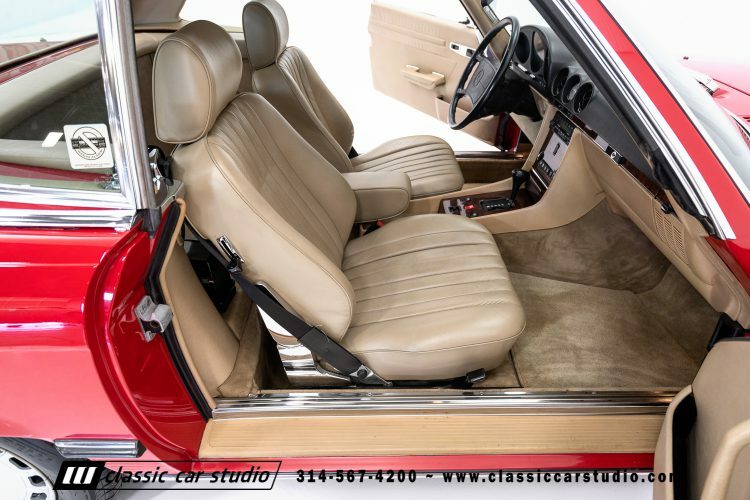 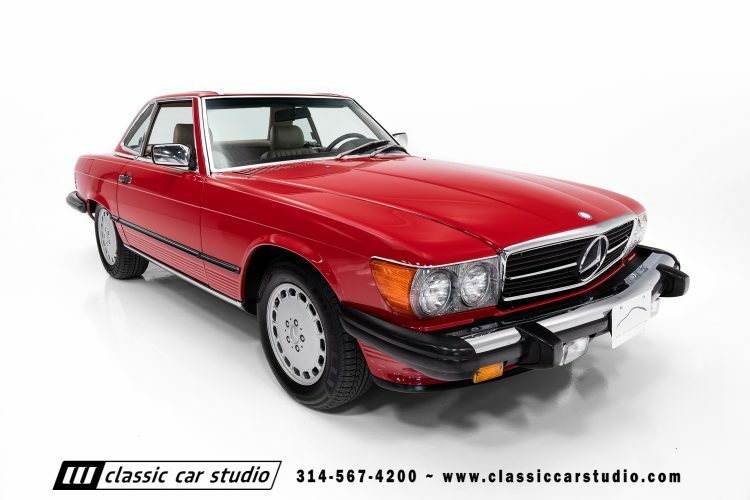 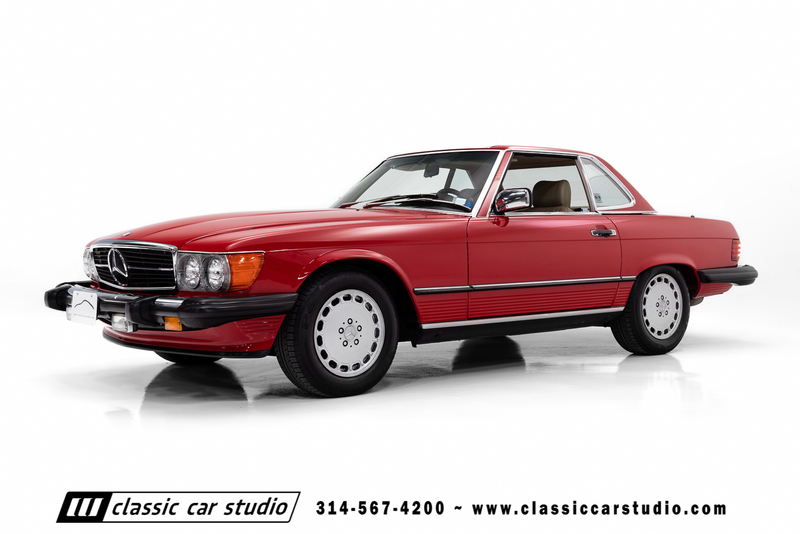 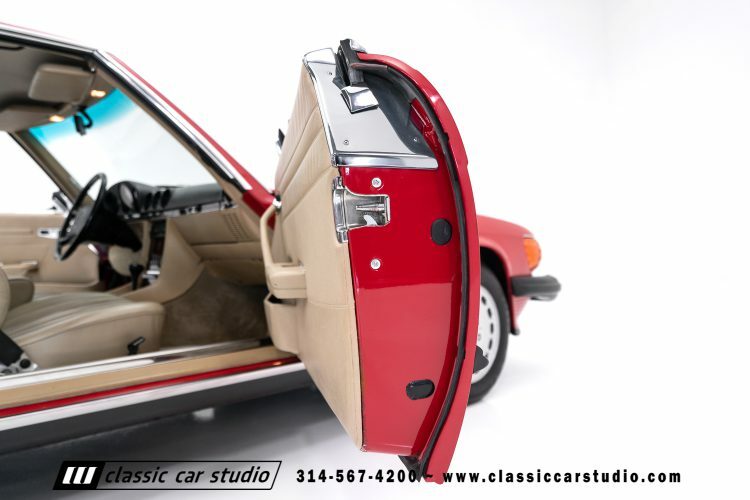 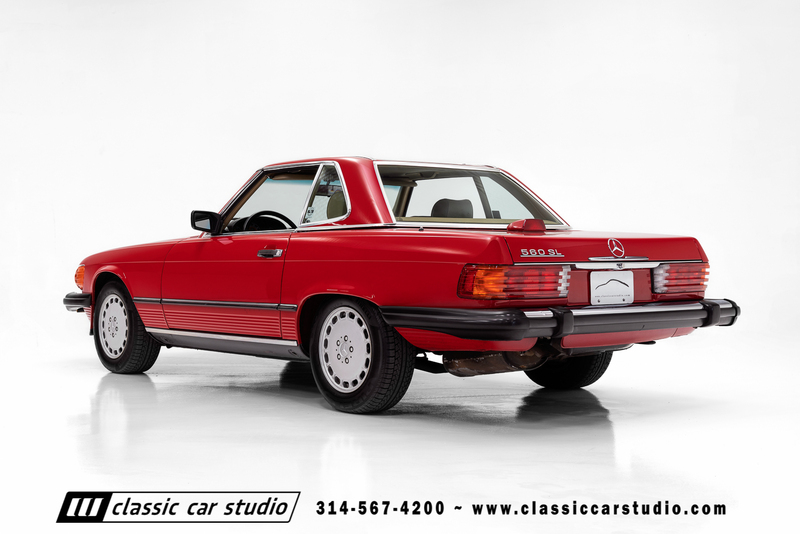 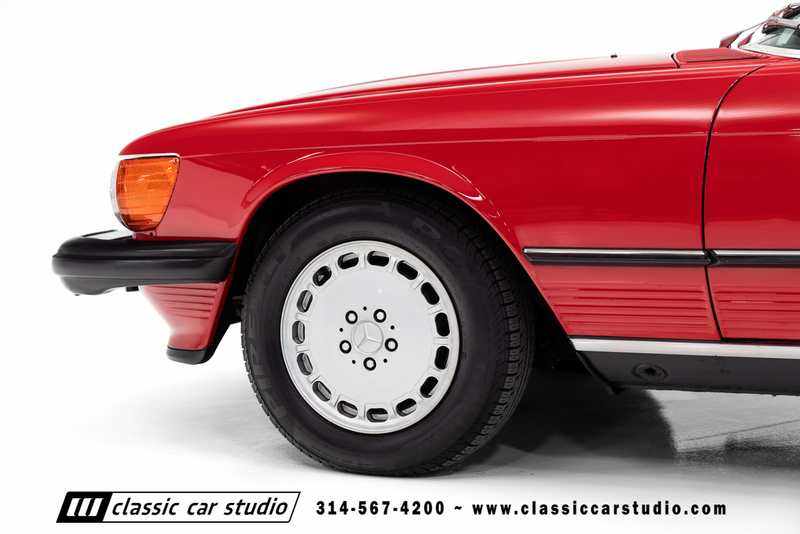 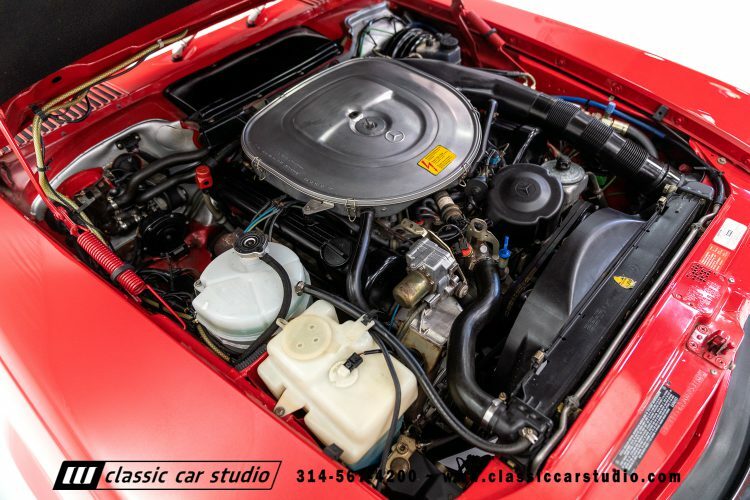 Finished in striking red over a with well cared for tan leather interior, this increasingly uncommon icon of the eighties is well equipped with convertible top, removable hardtop, power steering, power brakes, A/C, 5.6 liter V8, and just over 50K original miles. The car has had just two owners and has always been garage kept since new. 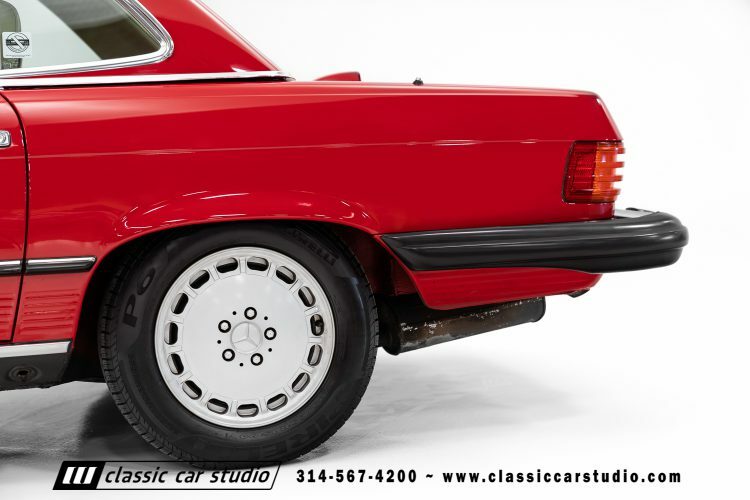 Present are all of the books, the tool set, original spare and the jack. 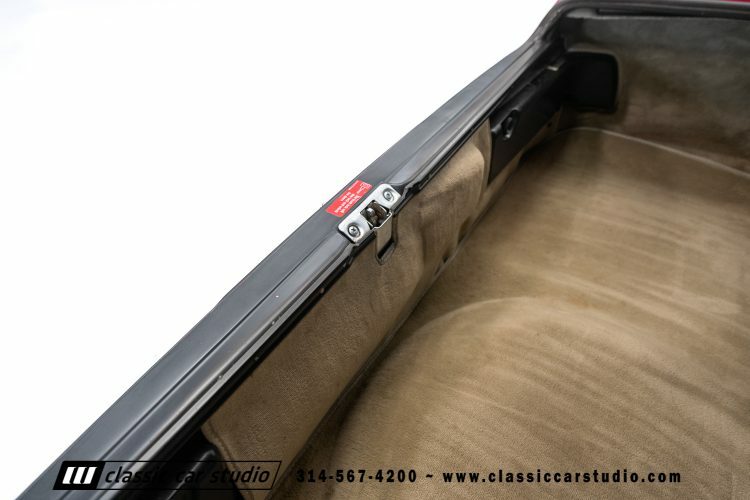 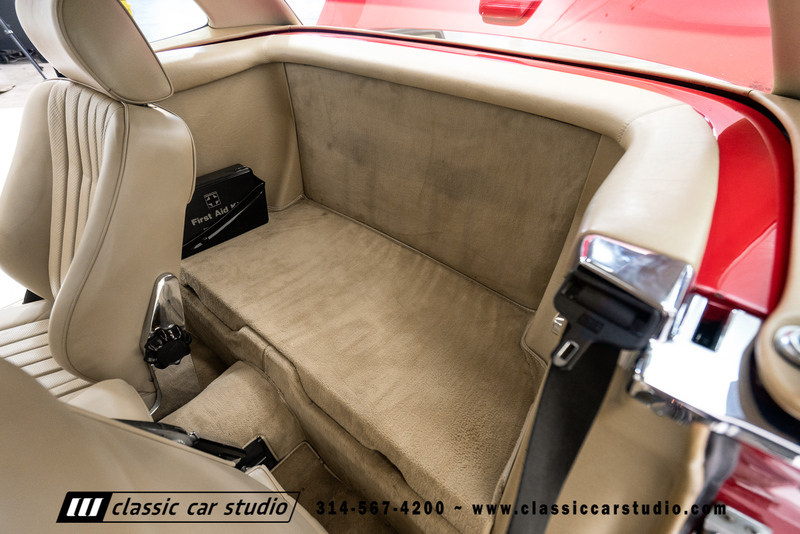 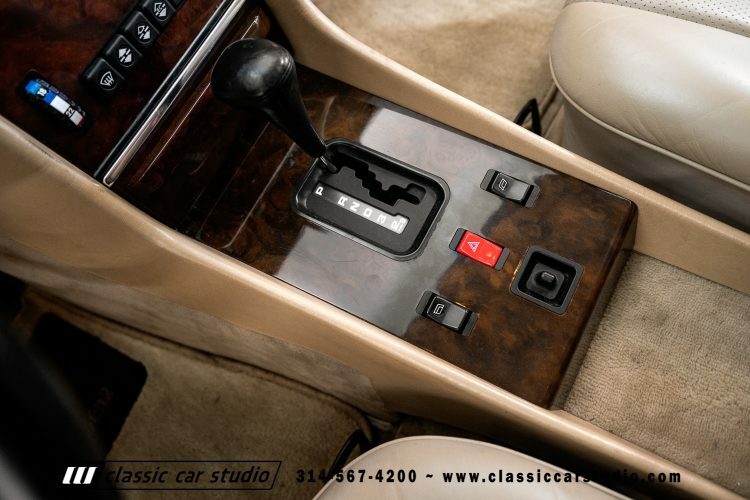 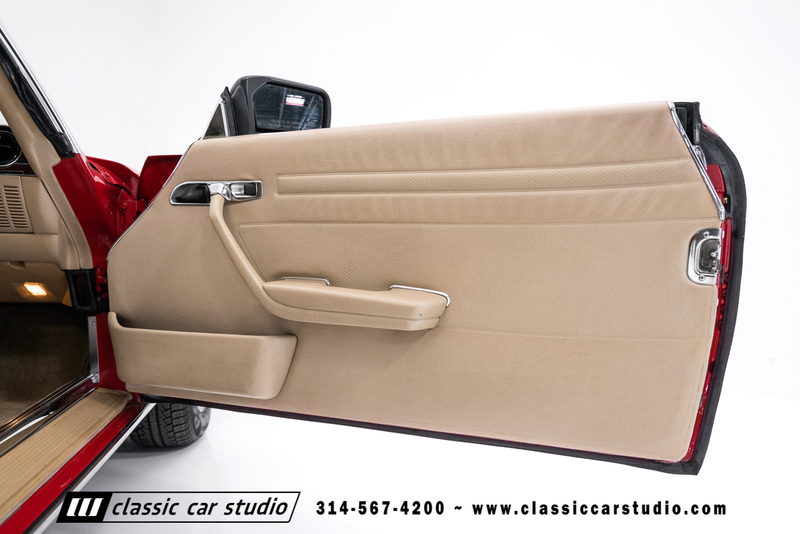 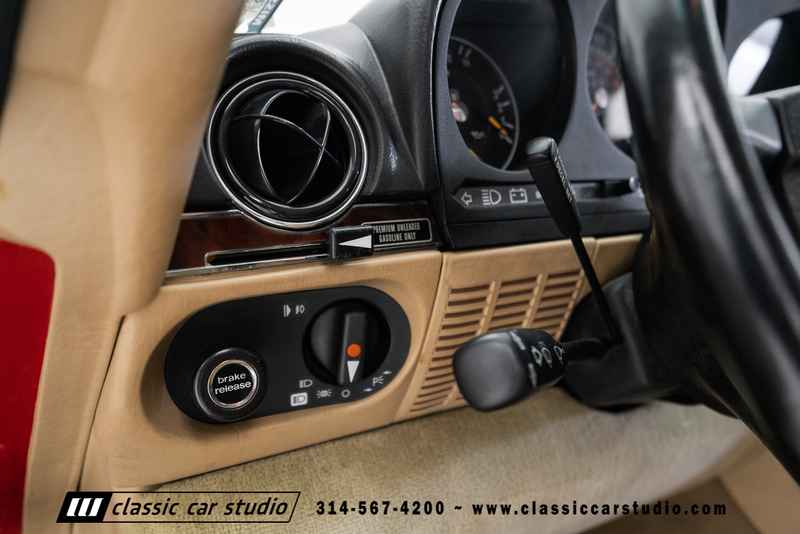 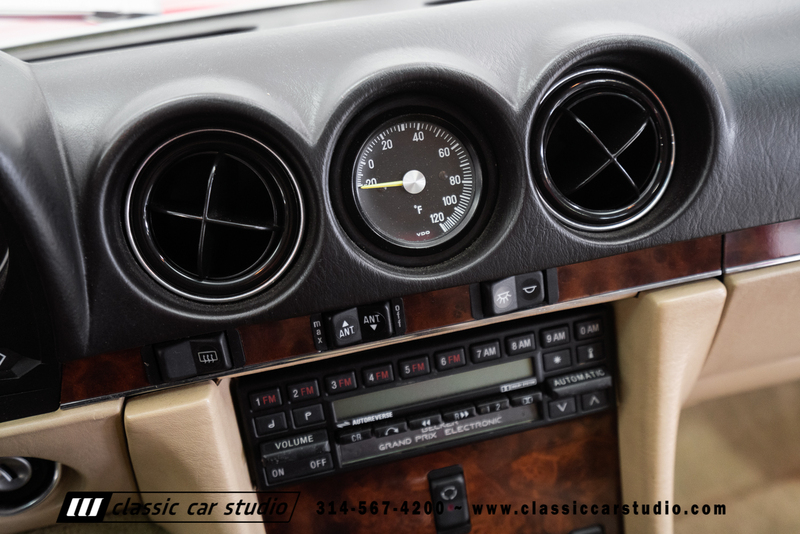 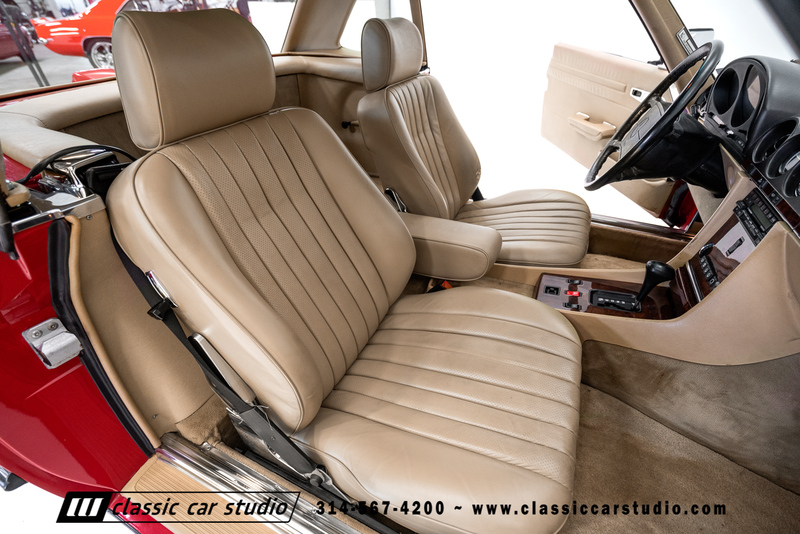 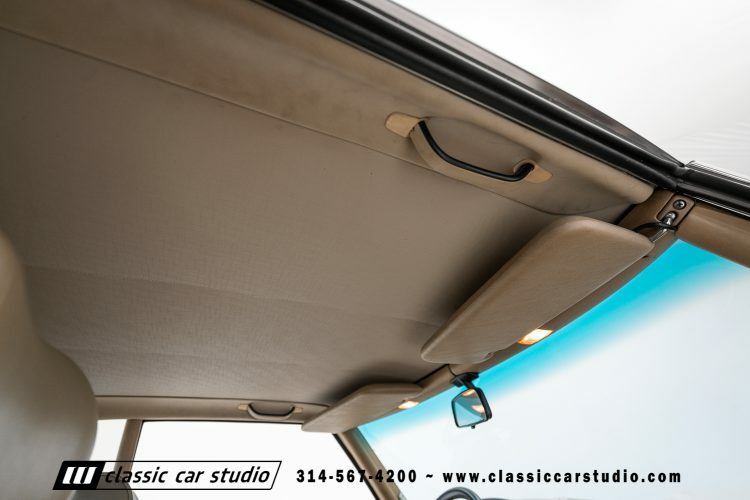 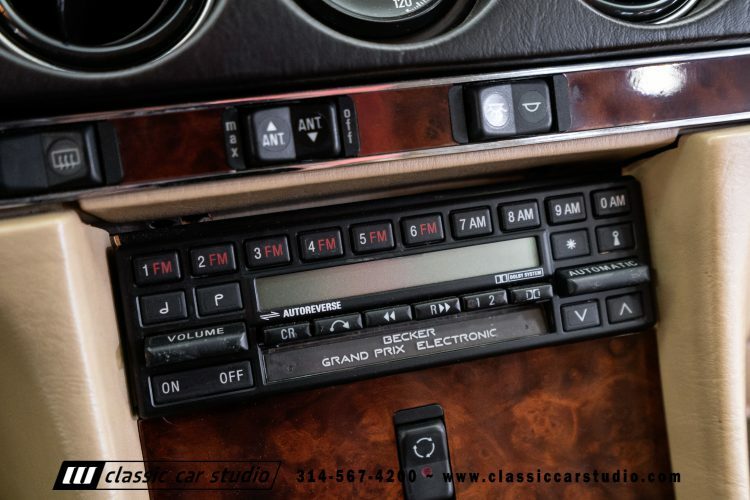 The car is a breeze to cruise and comes with cold AC, and a properly working Becker radio. 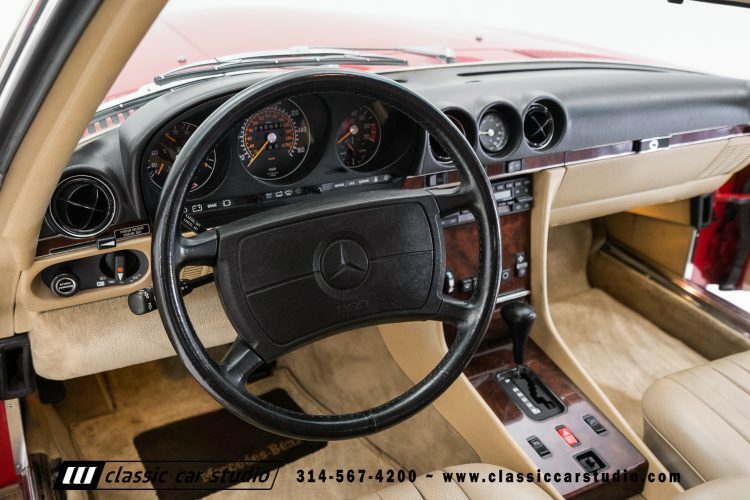 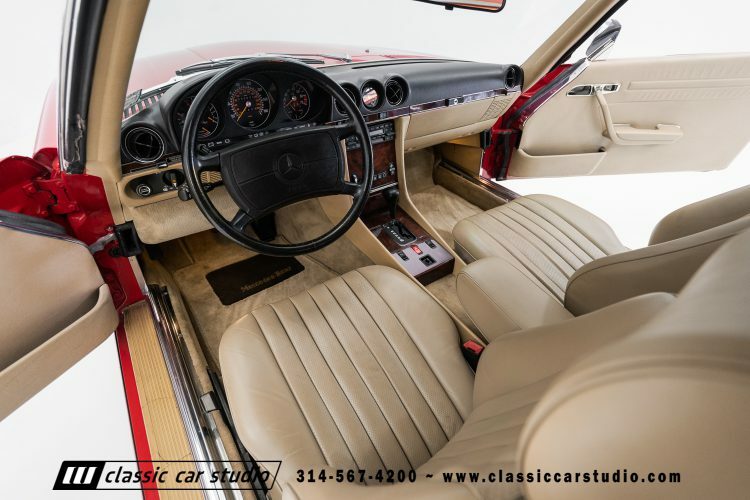 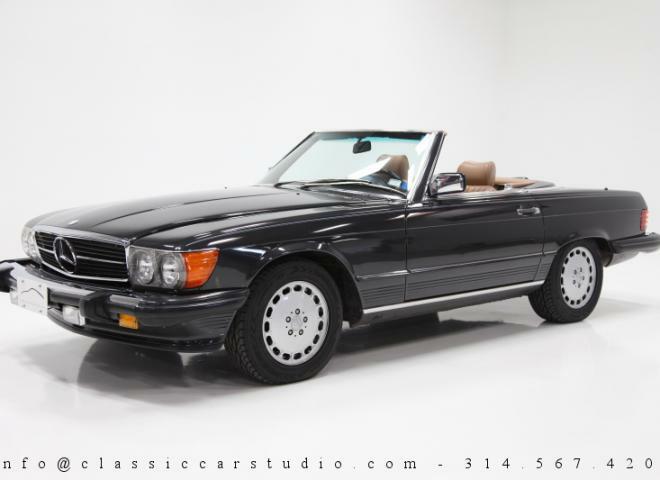 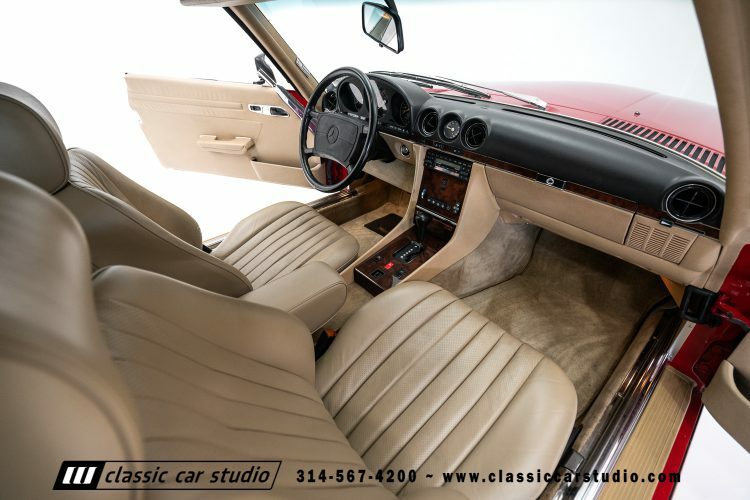 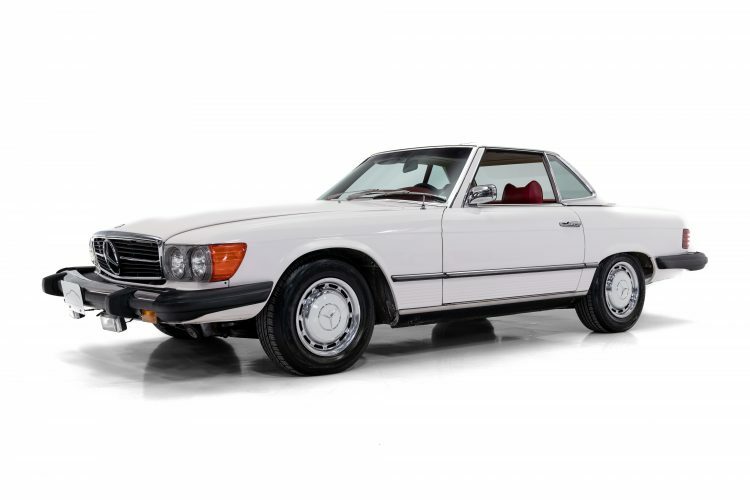 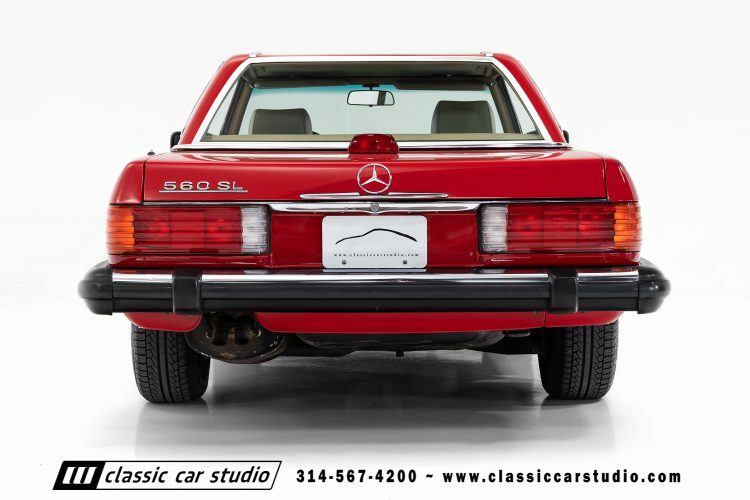 For the enthusiast looking to experience the most modernized version of the classic SL line, this 1986 560 SL would be an excellent candidate.